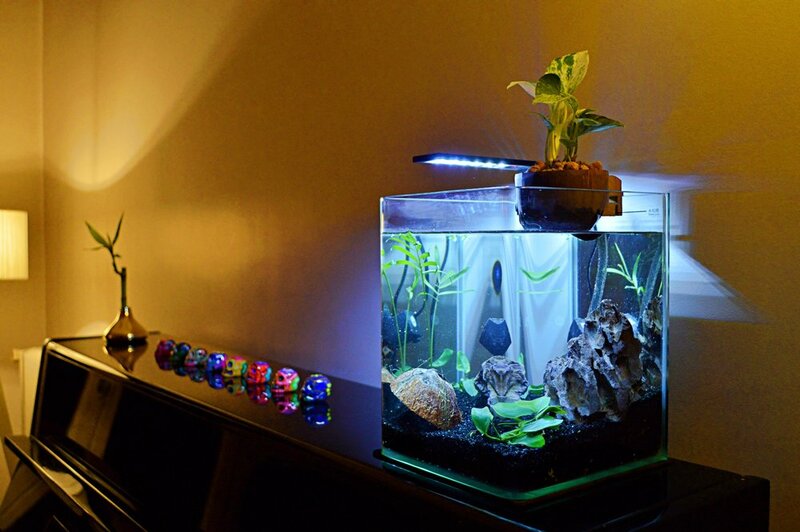 Students launch self-cleaning fish tanks – using coconuts! Two French entrepreneurs are revolutionising fish tanks with a product that uses half a recycled coconut and means an aquarium rarely has to be cleaned, having starting their business CocoPlant while studying at Université Paris-Saclay. Maël Levet studied how to miniaturise an old technique called aquaponics to create a small ecosystem within an aquarium, where fish waste feeds plants and plants keep the water clean. He set up CocoPlant to produce and sell these natural filtration systems using plants inside coconuts that sit on a tank, cleaning the water that flows through the roots. Designed to be a zen garden on top of the aquarium, the product is inspired by the Japanese gardening technique called Kokedama. Determined to have a social impact, their product is made by disabled workers in the Paris suburbs. It’s part of a French initiative to give disabled people jobs that they can fulfil with their hands. The company began when he met his business partner Marc Laperche, a fellow engineering student at Université Paris-Saclay, and they attended university entrepreneurship events together. They connected with business coaches, legal consultants and distributors that helped them to launch in pet stores across France today. The university also sent them to Silicon Valley to successfully prove the demand for their product and the viability of their start-up. They are now based at the university's incubator – with space, coaching and machines to prototype – with an office at Station F, the biggest start-up campus in the world. Now the team is looking to expand CocoPlant throughout Europe and the US, taking the organic product range to fish tanks around the world.